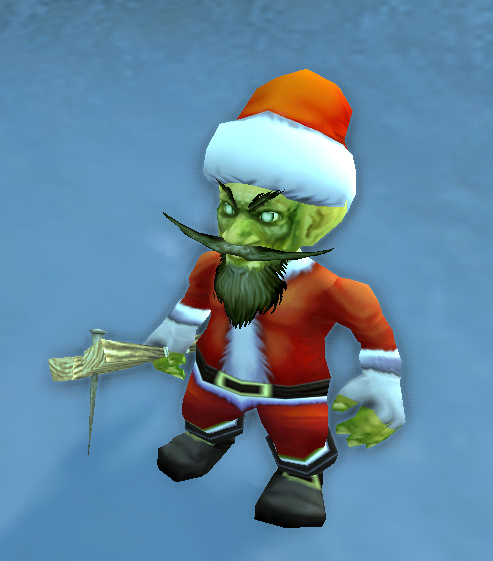 The Tickle Me Elmo of pet battles for the 2013 Winter Veil holiday season is the Rotten Little Helper. You know, if Tickle Me Elmo had a board with a nail in it. 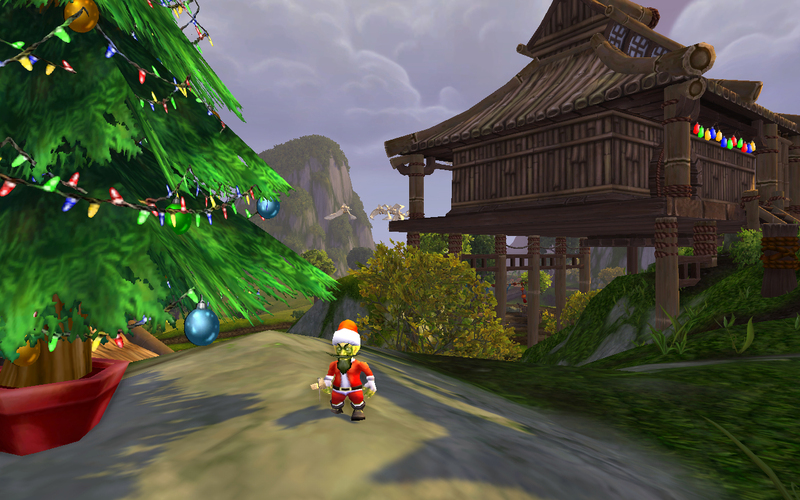 He has a chance to drop from the Stolen Present from the You’re A Mean One (Alliance Version) daily. The daily is available for all your characters level 80 or above, starting today through Winter’s Veil. The Rotten Helper can also come from the Gaily Wrapped Present under the Winter Veil tree in either Orgrimmar or Ironforge, starting December 25th through the end of the holiday. He’s a very unique little cantankerous snowflake. He’s a humanoid with mechanical abilities, a distinction only shared with the Anubisath Idol’s RNG-heavy Demolish and the Curious Wolvar Pup’s Snap Trap. The Helper’s mechanical abilities are the Minefield-esque Booby Trapped Presents and Greench’s Gift. Greench’s Gift is rather interesting, as a relatively high-accuracy ability with a 5 turn cooldown. Most of the rest of the abilities he has are borrowed from Winter’s Little Helper, namely the synergistic Call Blizzard and Ice Lance combo, and the utility stun Ice Tomb. Rounding the moveset out is his single Humanoid ability, the straightforward Club. Like the Winter’s Little Helper, he may make for a good team with a Kun Lai Runt for PVP, but he’ll also be geared toward stomping Beasts with critter offense in PVE. Abilities aside, he’s also pretty charming because of his general sunny demeanor. His on-click interaction are the annoyed male gnome NPC dialogue when you click on them too many times in a row. Another year, another chance to get coal in your stocking. This entry was posted in Uncategorized and tagged auctionable, holiday, humanoid, quested, RNG on December 16, 2013 by Liopleurodon.